I finally managed to get a shot of one of the Scania single deckers that have recently been put back into service with 371 seen here ‘Not in service’ but on her way onto Royal Parade where I believe she did go out in service. 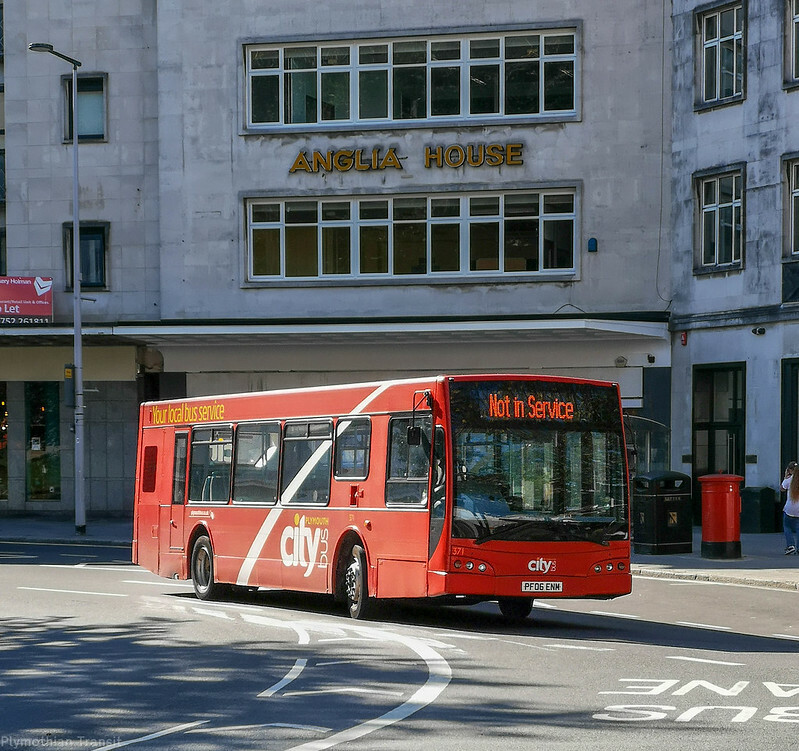 I cant say I am a fan of these buses as a passenger but its good to see Citybus retaining a few oddities within the fleet! Frequently seen on the 42s and ivybridge services. More knackered filthy polluting buses coming from London - dumped on the city of Plymouth to wind them into the ground. Enviro 400 06 plates are Euro 5 emission standard, not much different to the modern Euro 6, compared with the B7TL which are Euro3/4.